World Glass Clock Accented in blue. 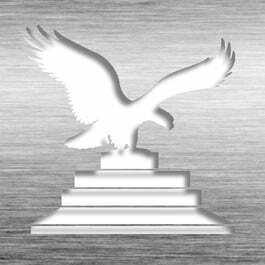 Plate layout can be fully customized and engraves silver. Add a logo for free to promote brand loyalty! 7 7/8" x 8 3/4"
This Desk Award - Blue World Clock CR-BW8 is part of our Clock Series of products, check out other products & options available in the Clock Series of our selection. 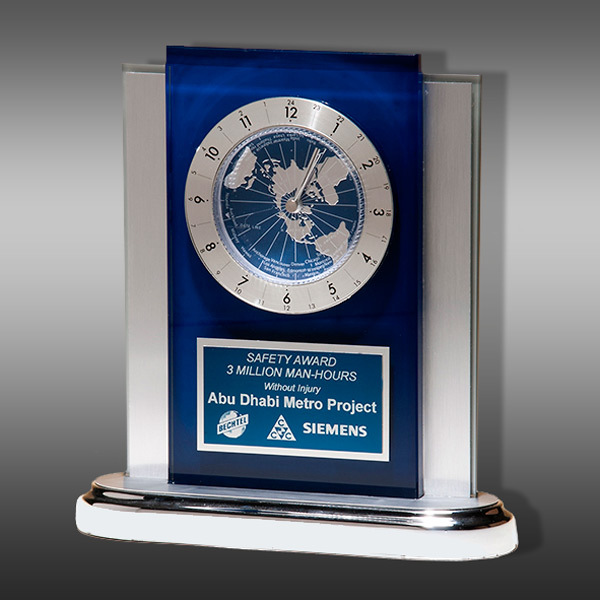 This Desk Award - Blue World Clock CR-BW8 can be modified to your requirements and is available for your corporate award programs.